Michael Jackson might be gone, but his fans live on. The Behind the Mask Project -- the global online casting call for Jackson's 'Behind the Mask' music video, off his first posthumous album 'Michael' -- premiered this morning on the late pop icon's Facebook page. Directed by Dennis Liu the video is "100 percent fan made" by fans from all over the world, including Jordan, Southern Sudan, Russia, the Netherlands, Japan and more. Jackson's international fan base channeled the King of Pop from his trademark fedora to his foot-stomping penny loafers and glittery jacket. Fans were asked to submit themselves dancing, lipsyncing and jamming along to the song's punchy hooks via their webcams and onto the Behind the Mask website. Some took on Jackson's gravity-defying lean from the 'Smooth Criminal' video, while others can be seen successfully attempting his iconic tip-toe pose. With the help of split-screens, Liu was able to include 1,600 submissions, including 50 kids and 36 animals. 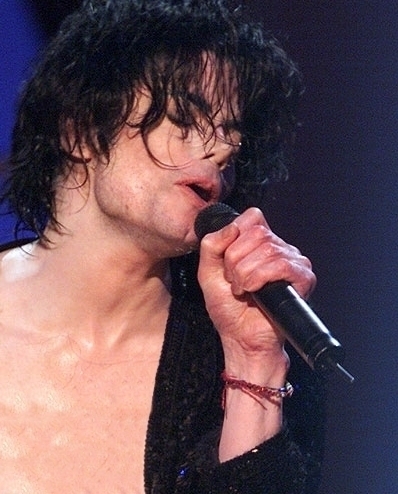 The song -- the third single off 'Michael' -- has an interesting back story. It was originally penned in the late '70s by Japanese electro-pop act Yellow Magic Orchestra, before Jackson adorned the song with his own lyrics and stylings. The revamped version wasn't released until selected by Sony and the Jackson Estate for the 'Michael' album. Since its December 2010 release, 'Michael' has made it to No. 1 on the album charts in some nine countries, and peaked at No. 3 in the U.S., where it's been certified platinum.